The goal of the « Maranatha Conversion » association is to establish an international ecumenical and interreligious movement to create bonds of faith, friendship fraternity and sodality between men and women of good will. The method is to contribute with prayer and fasting primarily – everyone in his faith and tradition – but also with times of shared cultural exchange – to help make peace – the gift of God – come into the world. The association « Maranatha Conversion » is a non-profit organization. 1. « Maranathons» : Meetings open to all, religious (or spiritual), philanthropic and artistic, from the 4th to the 6th of each month, in centers (existing or to be designated) and Marian shrines. 2. Establishment of the « Sakramento Peace Center » in Medjugorje (Bosnia and Herzegovina). 3. The creation of « Maranatha TV », television channel to connect the centers and Marian shrines. 4. A website to support the primary goal of Maranatha Conversion, which is the healing of humanity and the building of peace in the world through Prayer & Fasting. 5. The « Queen of Peace Prize » issued on 21 September of each year – [A day chosen by the United Nations to be « Peace Day ».] to three women whose ministry makes life on Earth worth living. Bishop André Léonard, born on May 6, 1940. Before his episcopacy, he was professor of philosophy for more than 20 years at the Catholic University of Louvain and, for 13 years, superior of the Saint-Paul University seminar in Louvain-la-Neuve. As a priest, he therefore lived most of his ministry in the world of youth. André Léonard was Bishop of Namur (Belgium) for 19 years, then Archbishop of Mechelen-Brussels for 6 years before retiring to France, in the Hautes-Alpes, where he is vicar in parish and chaplain at the Notre-Dame du Laus sanctuary, devoting his free time to writing and preaching spiritual retreats. He was member of the International Theological Commission (advisory body to the Congregation for the Doctrine of the Faith).. His episcopal motto is “Maranatha!” which means “Come Lord!” Indeed, the Church expects nothing less than the return of Jesus in ‘Glory’. His Coming (and only His Coming) will annihilate the Anti-Christ (2 Thess 2,8). He will return for “restoration” and “regeneration” (Mt 19:28, Acts 3:21), fulfilling the reign of God “on earth as in heaven” (Mt 6:10), before handing over the “Kingdom to the Father” (1 Cor 15, 22-28). Thus our movement and the structures within it take up this word ‘Maranatha’ which is also a prayer. Bishop André Léonard is the initiator, with Mrs Sabrina Covic, of the worldwide spiritual movement “Maranatha Conversion” which invites people of good will from all spiritual traditions to intercede, to pray for the conversion of the human heart and the healing of humanity. Sabrina Čović Radojičić was born in Osijek (Croatia) in 1966. Although she grew up in Paris she frequently travelled to the United States. Married to Vladan Radojicicic, they have two children, Katarina and Matthieu. A close friend of the Medjugorje seers, she is an author and translator of a range of books, and has directed documentaries about Medjugorje which are available on both video and CD all of which have as their theme “Medjugorje”. She also recounted her testimony “I wanted to help Heaven to save the world so I organized touring trips”, in a book published by Les Editions Sakramento which Sabrina herself founded. In 2007, Sabrina co-founded with Mgr André Léonard, now Archbishop Emeritus of Mechelen-Brussels (Belgium), the prayer movement “Maranatha Conversion”, an international, ecumenical and inter-religious movement of intercession for the healing of the world. Together they have organized many meetings and prayer meetings and international pilgrimages through several countries. 1/ An exceptional place of welcome, the “Bethany” house in Medjugorje (Bosnia and Herzegovina). “Béthanie” is a warm “family house” with a beautiful permaculture garden and a few rooms to welcome and offer a relaxing and calm stay. 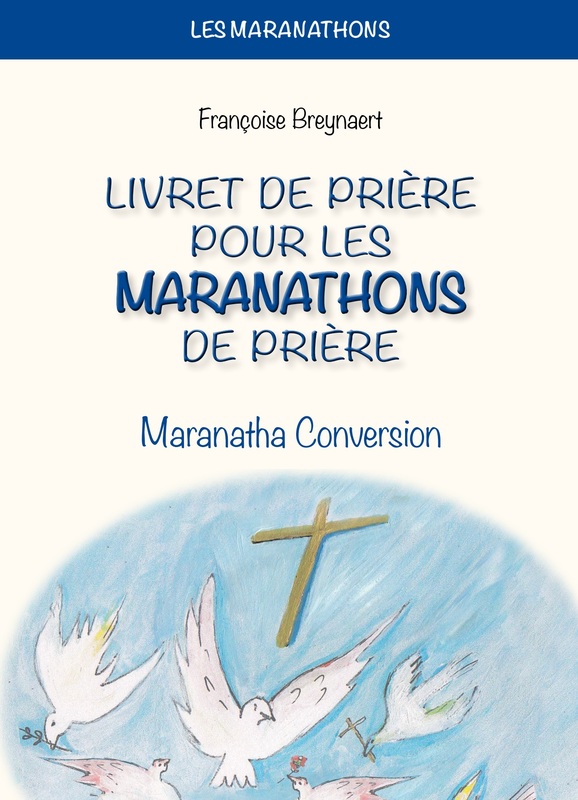 In particular, it is a privileged place for people who would like to better understand the activities of the movement or the structures with which “Maranatha Conversion” has been collaborating for years, in order to be able to actively engage in one of these structures, by considering, for example, founding and running a Maranathon in their country of origin. 2/ Le Centre de Paix Sakramento qui comprend trois belles salles de réunions très bien équipées ainsi qu’une librairie. Dans ce cadre, il est possible d’organiser des réunions informatives, des enseignements donnés par des intervenants de qualité. Ce lieu a ainsi accueilli, en septembre 2018, l’étape à Medjugorje, du parcours événementiel de la « Nuit des Témoins » qui se déroula à travers la Bosnie-Herzégovine, le Monténégro et la Croatie et qui fut organisé avec la fondation pontificale « Aide à l’Eglise en Détresse ». The Sakramento Peace Centre, which includes three beautiful and well-equipped meeting rooms and a bookshop. In this context, it is possible to organize informative meetings and lectures given by quality speakers. In September 2018, this place hosted the stopover in Medjugorje of the “Night of the Witnesses”, an event that took place throughout Bosnia and Herzegovina, Montenegro and Croatia and was organized with the Pontifical Foundation “Aid to the Church in Need”. In Marian shrines and spiritual high places throughout the world, “Maranathons” are two days of prayer each month, like “marathons” of prayer, on the 5th and 6th of the month. We believe that prayer will save the world. Maranathons are times of intense prayer in privileged places. As in “little Noah’s arches”, everyone can take refuge there during difficult personal times. Maranathons are an opportunity to discover or rediscover our extraordinary spiritual heritage. On the 4th of the month in the afternoon or evening, an artistic meeting, followed by a debate and a snack, proposes to bring together people of good will, of diverse spiritual sensibilities, believers or even non-believers, wishing to meet “others” in an informal and fraternal exchange. 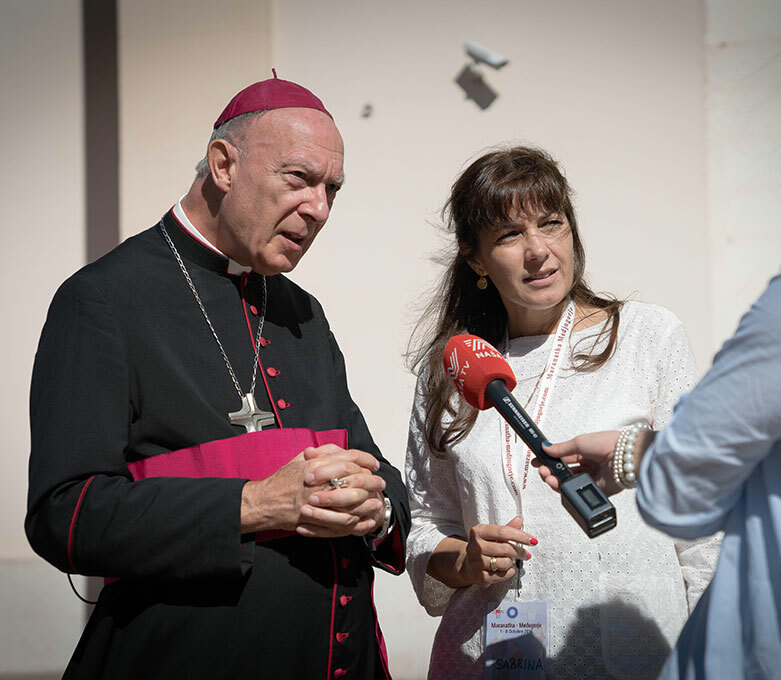 Archbishop André-Joseph Léonard and Sabrina Čović Radojičić met briefly in 2004, and again in 2007, where they began working together to launch “a prayer movement for the healing of mankind.” This movement takes the name of ’Maranatha Conversion’ in France and ‘Maranatha Medjugorje’ for the activities carried out in Bosnia and Herzegovina. The first Maranatha prayer meeting took place on Saturday 9th March 2013, in the Basilica of the Sacred Heart in Brussels, Belgium. Since then, other prayer meetings have taken place throughout the world including a first major pilgrimage to the Holy Land in August 2013; 550 pilgrims came from all over the world. Vicka, one of the visionaries from Medjugorje, was also in attendance. 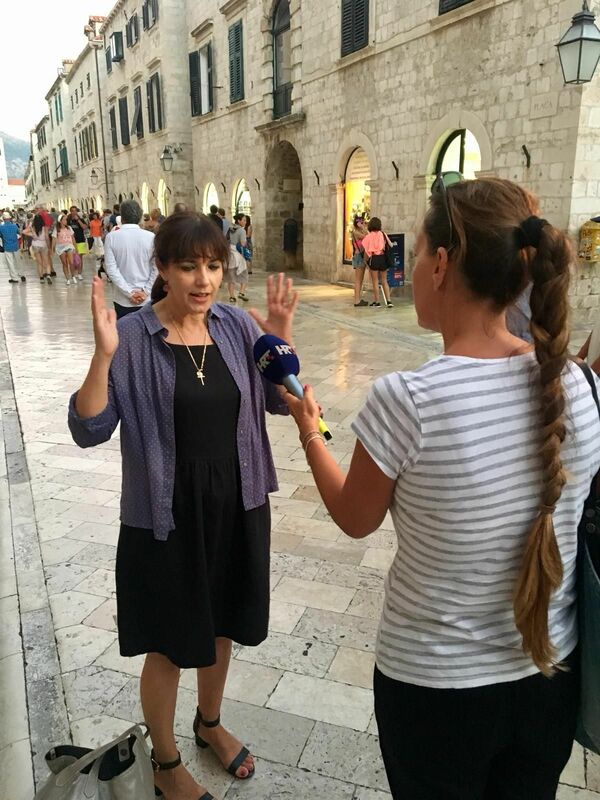 Since 2016, ’Maranatha Medjugorje’ has been offering pilgrimages to Bosnia and Herzegovina, including Medjugorje, Mostar and Sarajevo. And since Sarajevo was the starting point of the First World War, we dream that it will become the starting point of world peace! It is also planned to strengthen the privileged links with the Holy Land by organizing at least one annual pilgrimage there. ‘Maranatha Conversion’ is an international, Catholic, ecumenical and inter-religious movement. We are aware of the risk of religious relativism, and of those who want to impose an anti-Christian world religion. We are conscious also of anti-Christian elements contained in other religions. 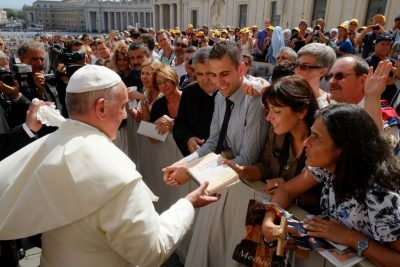 However, we want to follow the path of two recent popes, who didn’t think twice about inviting non-Christians to pray with them for peace: Saint John Paul II in Assisi on October 22, 1986 (On that occasion, all the religious groups congregated in one area, and, in order to avoid confusion, they took turns in reciting prayers; later in the day, they prayed simultaneously but in separate locations.). Pope Francis has also invited non-Christians to pray together with him on so many occasions. He who does good comes to the light (Jn 3:21), and at the glorious coming of Christ not only will the Christians (who witnessed to Jesus) reign with Christ, but also all those who have rejected evil (Rev 19: 4). In the very special times in which we live, it is therefore very appropriate to bring together men of goodwill who reject materialism, nihilism which carries the culture of death. In Medjugorje, when the Virgin Mary speaks of unbelievers, she speaks of “those who have not met the love of God.” The first words of the decalogue are words of love: “I am your God who delivered you” (Ex 20: 2). And Saint John summarizes the Bible: “God is love” (1 Jn 4: 8). St. John Paul II in Assisi also said: “Inter-religious dialogue is not independent of the Christian message. I humbly reiterate my own conviction that peace bears the name of Jesus Christ “. Jesus and He alone, will annihilate the Anti-Christ (2 Thess 2, 3-12). That is why the ‘Maranatha Conversion’ gatherings offer occasions not only to meet up with one another but also to spend time in fasting and prayer. 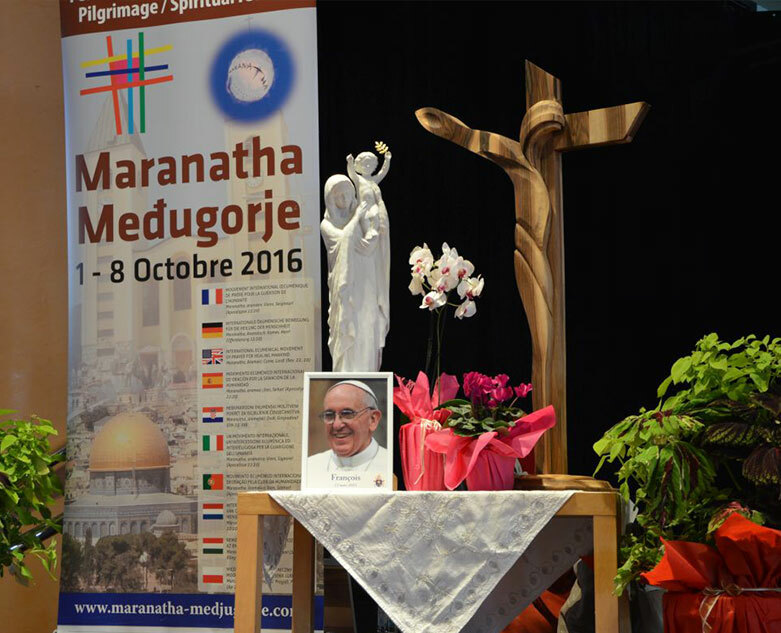 The Maranatha-Medjugorje association is a registered association in Bosnia and Herzegovina. It follows the prayer intentions of the international ecumenical movement and Maranatha-Conversion. The Evil that’s surrounding us is such that it became normal for us to put up with it and we even started to call it ‘reality’ at the cost of sinking into passivity. So we asked ourselves in what way we could spread the Good rather than allowing the Evil to rule. Some people will think that we are utopians and idealists. But it doesn’t bother us. Let’s be idealists! Therefore, we enthusiastically invite you to participate in a movement that was initiated in order to create unity of all people of good will: unity which is required to make the healing of mankind possible (we see what the Tower of Babel has brought about); unity it is a gift from God and therefore we call it with our prayers. 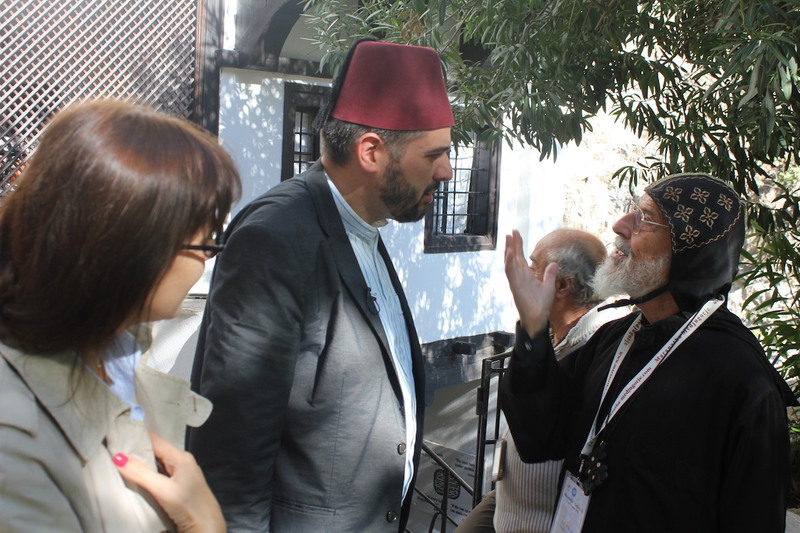 We will offer several times a year pilgrimages and meetings across Bosnia and Herzegovina, the country that enables it overcoming ecumenical boundaries by its nature and allows it to become interreligious. A “Peace Center” in Medjugorje, on the road that leads to “Mother’s village”. 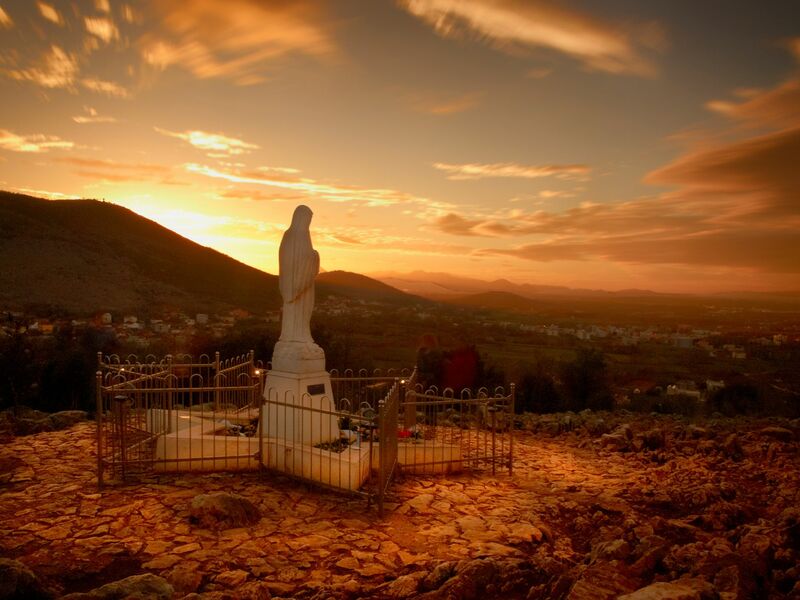 It houses the association “Maranatha Medjugorje” which enriches the area. It also houses a bookstore (www.sakramento.com). There is a small library, and a meeting and teaching area. Our main activities consist of high points, “Maranatha” pilgrimages and spiritual retreats throughout Bosnia and Herzegovina as well as in the Holy Land but also and especially the launching of unique prayer groups, the “Maranathons”, for a greater geographical influence, by generating “prayer marathons” in many Marian shrines or spiritual centers throughout the world. The prophet Jeremiah already said: “The human heart is complicated and sick” (Jr 17: 9 ). What would he say today with humanity and the world facing so many threats? Yes, Humanity is sick and needs conversion. We need conversion. All of us. Together with a group of motivated lay people, it seemed to me urgent to launch a movement of prayer and renewed commitment to faith for the healing of the human heart and humanity. An international oecumenical movement bringing together Christians from various denominations. 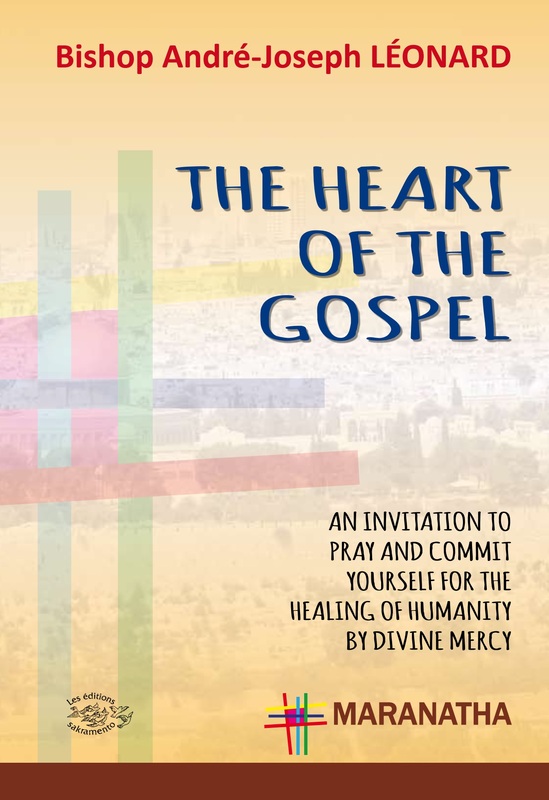 To support this approach, we propose this prayer booklet “The heart of the Gospel” specially designed with this in mind. Chaplain of the Sanctuary of Notre-Dame du Laus (Hautes-Alpes, France). The “Maranathons” project is a wonderfully crazy project. Nothing but the name already! It immediately reminds us of the “marathons”, of these endurance races of several tens of kilometres, but also of the motto of the whole movement “Maranatha!” which is nothing more than the last prayer of the Bible: “Oh yes, come, Lord! “, “Amen! Maranatha! ” (Rev 22:20). This movement has already given rise to several large gatherings and pilgrimages, notably in the Holy Land and Bosnia and Herzegovina. In the process, prayer groups were born in order to carry, in intercession, all these great challenges of the Church and the world that require a profound conversion of our hearts and a true healing of humanity. But not everyone has the opportunity to participate in these gatherings and pilgrimages. Hence the idea of using all the possibilities offered by print, but also by the Internet, to spread a book that allows individuals or groups to form an immense chain of prayer that encompasses the entire planet and elevates to Heaven humanity’s ardent plea for healing, for the conversion of hearts and for the coming of the Lord in glory. Far from distancing ourselves from our commitments in this world, this expectation of the glorious coming of Jesus strengthens our concern to make the most of the present time. For it is the thought of the final goal that maximizes our courage on the path to it. And it is the attention to eternal realities that best reveals to us the importance of our “today”. I would like to thank Françoise Breynaert for having provided us, in view of these “Maranathons”, both a very concrete instruction manual and a very rich content. She has drawn from a multitude of sources, from the oldest to the most recent, from the most universal to those related to private revelations. And always with proper discernment. I pray the Lord and the Virgin Mary to bless this work and to make it a beautiful encouragement to this hope, for time and for eternity, which the world so desperately needs. All over the world, men, women and children, from all cultures and backgrounds, have gathered for centuries in the spiritual high places of our land, from the most famous to the almost forgotten. Together, on the 4th, 5th and 6th of each month, they pray for the healing of man’s heart and the healing of the world.